One of my old 3/8” ring spanners seems to be the closest fit, but is a bit sloppy and I don’t want to round of the bolt head. Apart from allowing a greater range of spanner positions, why are these are sort of bolts used, because they look more prone to rounding off than the normal hex bolts. they are standard 12 point fixings - not 'special' in any way. Standard socket or spanner fit. After a long hard run, i am getting a tiny amount of oil working its way up a few of the bolts and accumulating underneath the carb, in the valley on top of the manifold. I just want to remove the offending bolts one at a time , clean them up and dab some loctite thread sealer on the thread. I have been meaning to do this for over a year , but family problems and other stuff keeps getting in the way. OK, thanks for confirming what they are called. All my small sockets that size are 6 point ,so it looks like i need to go buy me a rack of small short reach 12 point sockets . 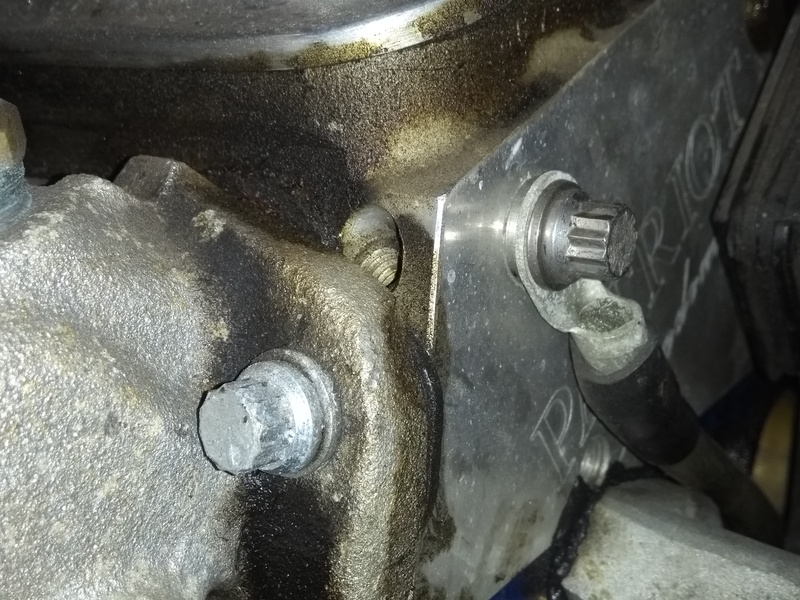 If you're concerned about rounding them off, use a little bit of valve grinding paste on the bolt head. Trust me. Fill gap to reduce slack and decrease slip, clever that ,thanks.